The pH level is a critical aspect of maintaining beautiful and clear swimming pool water. The pH level is both a measure of the basicity, or alkalinity, and a measure of the acidity of the swimming pool water. When pH level is high, the water offers too much alkali. 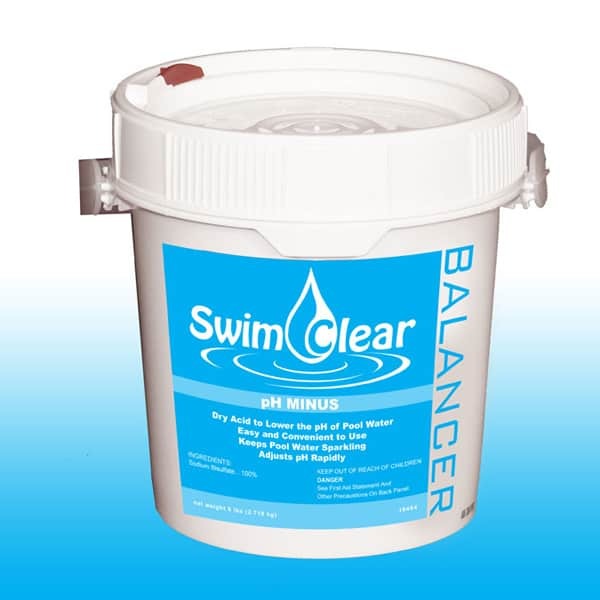 High alkalinity causes calcification and cloudy water while reducing the ability of chlorine to kill bacteria. The increased calcium deposits combine with the sand in your filter, clogging internal components. High alkalinity will cause eyes and skin to become irritated and swimwear to fade rapidly. The pH Reducer called pH Minus from Swim Clear will help you avoid these issues.